On the eastern edge of the Santa Ynez Valley, the valley’s namesake is its most western-style town. Santa Ynez sits at the crossroads of Santa Barbara County’s wine country and horse country. The streets of downtown are lined with charming Old-West style facades that house feed stores, honky-tonk bars, and saloons as well as upscale restaurants, boutiques, and wine tasting rooms. And while horseshoes are embedded in the crosswalks, bicycles tend to outnumber horses these days, with cyclists saddling up for a ride up into the canyons or along the valley’s country roads. 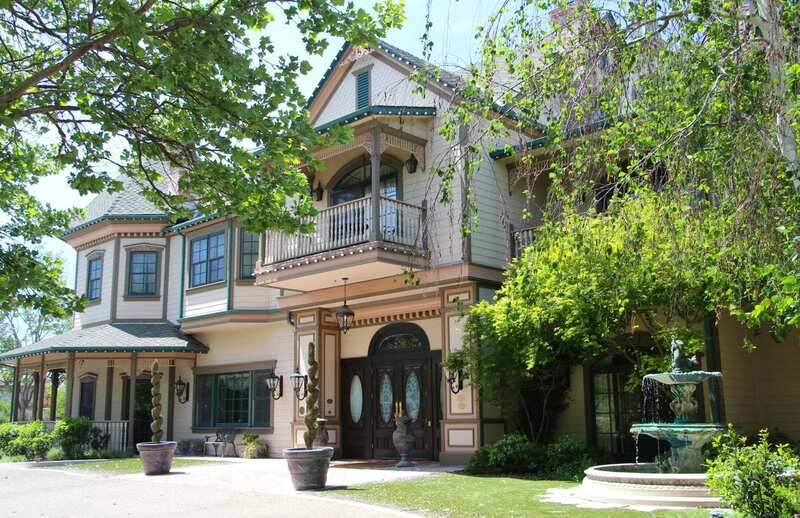 Two beautiful and welcoming inns provide a great base camp for exploring the towns and the wineries of the Santa Ynez Valley. “Many of our guests arrive as guests and leave as friends,” says Dave and Katie Pollock, owners of ForFriends Inn. The owners have created convivial spaces for guests to meet and connect. 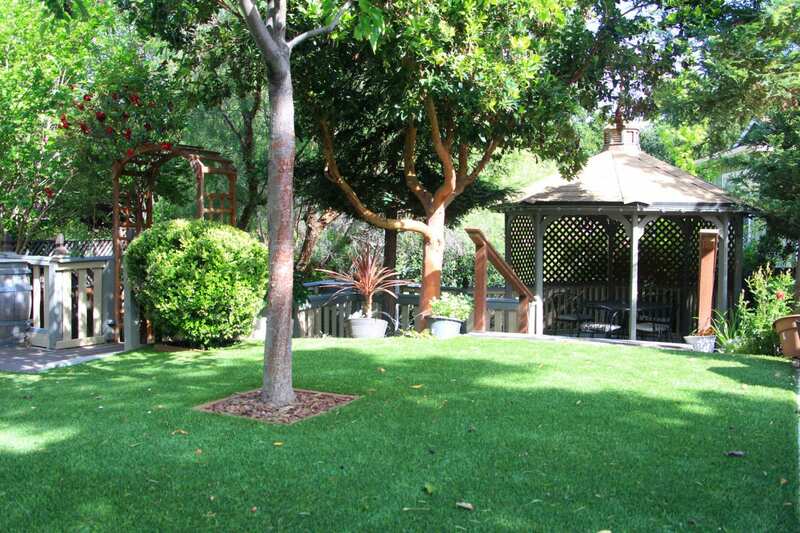 The inn’s festive backyard wine garden features terraced patios, a gazebo, and a lawn lit with string lights. On warm afternoons, the innkeepers pour local wines and serve hors d’oeuvres in the wine garden for happy hour. Guests often meet at happy hour and then walk together to dinner. 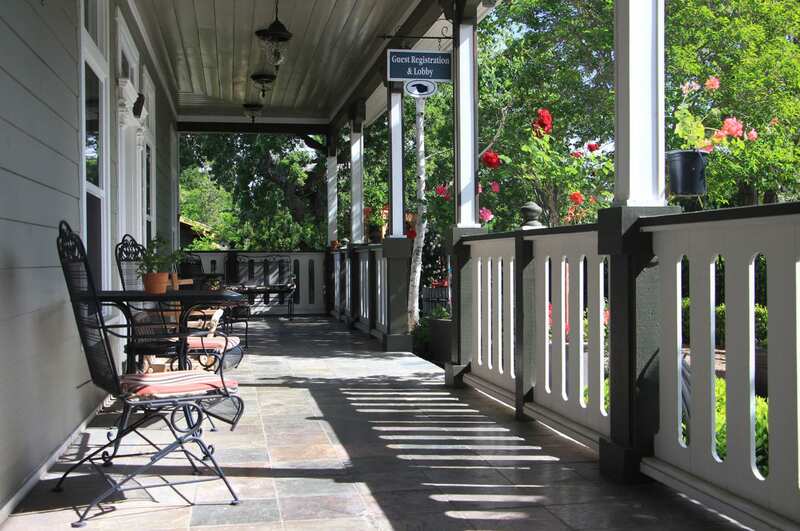 Surrounded by a profusion of garden blooms, inn’s broad front porch is another inviting space to meet guests and share a bottle of wine late into the evening. Each morning, a delicious three-course breakfast is served around the communal table in the dining room, where guests swap stories of their adventures and plan out the day’s itinerary while passing butter and jam. Breakfast includes homemade specialties like granola, breads, and egg entrees. 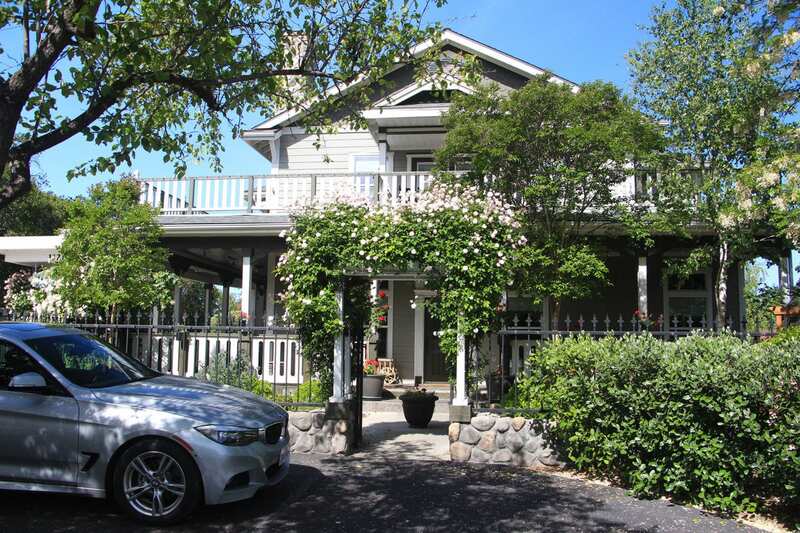 Built in the style of a large farmhouse, the eight-room inn was constructed in 2004 and features a delightful mix of Victorian and western décor. All of the rooms are named for local wineries and offer king-sized beds, WiFi, and air conditioning. The main house has six spacious rooms with private balconies, walk-in showers, and Jacuzzi tubs, and romantic gas fireplaces. 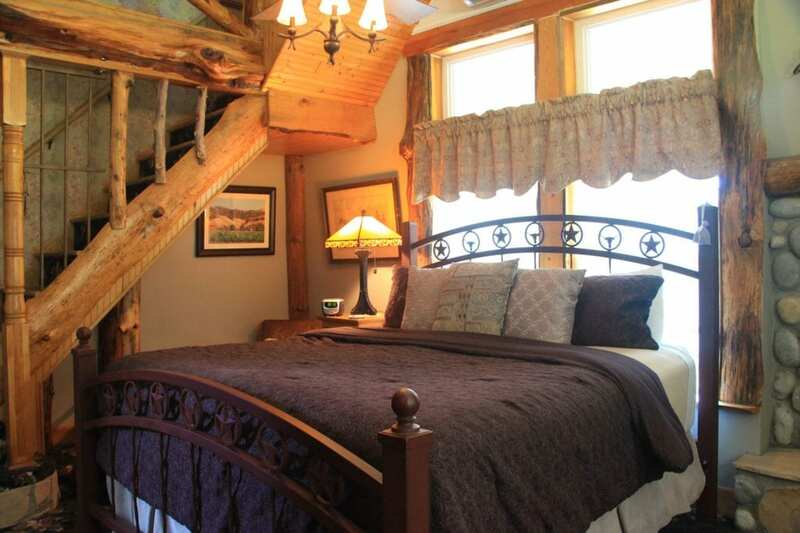 There’s also a private stand-alone cottage and a unique two-story suite, the Sunstone Tower. 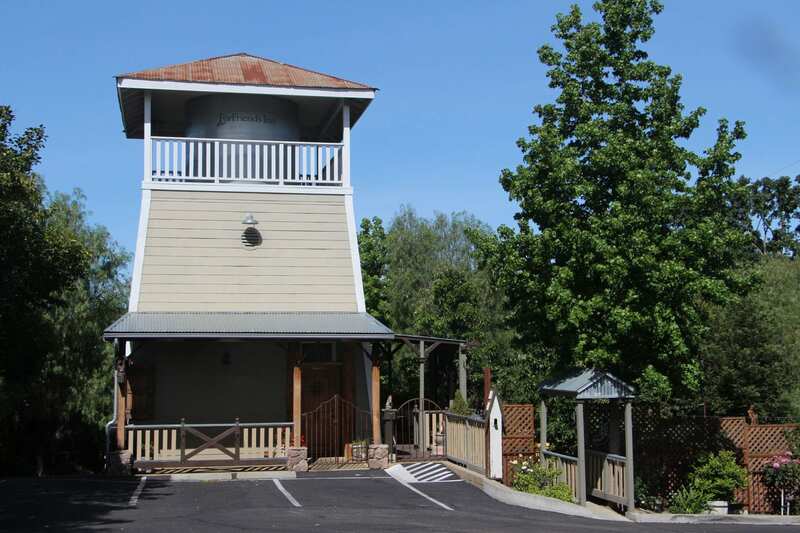 I had the opportunity to stay in the Sunstone Tower which is a whimsical western escape in a water tower with a private deck overlooking the wine garden. The room is furnished with an antique armoire, leather chairs, and a king-sized iron bed decorated with branding iron designs of longhorns and stars. 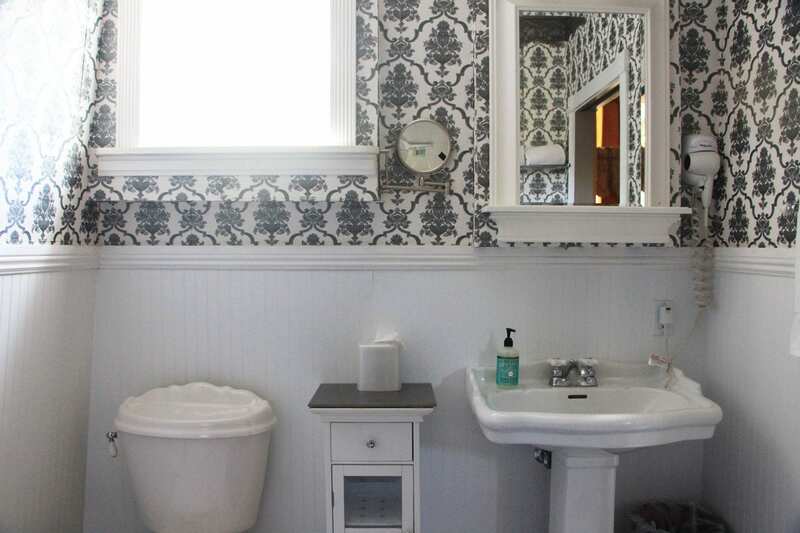 The bath is a black and white tiled affair with white wainscoting and a black and white floral print wall paper. An old lantern, a lasso, and a wooden sled hang above the river rock fireplace. The windows, doors, and staircase to the second floor are trimmed with rough-hewn timbers. 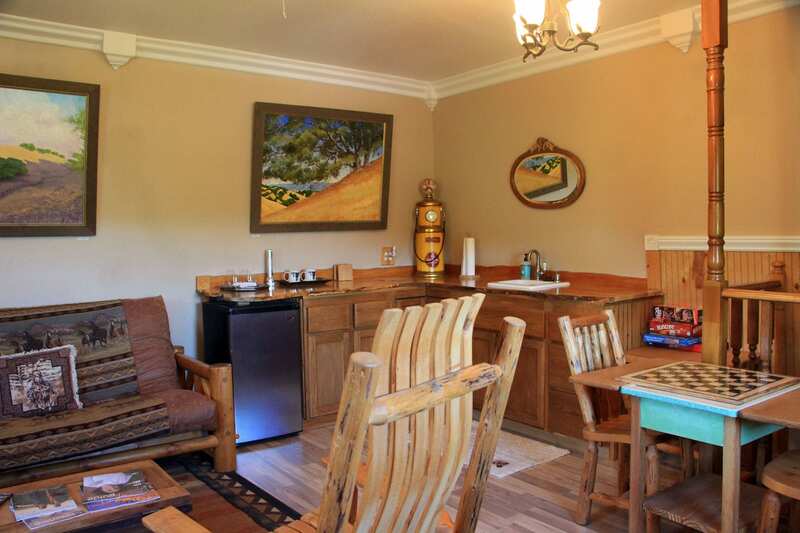 Upstairs you’ll find a hideout with a queen sized bed, sitting area, game table, a wet bar, and a small refrigerator. 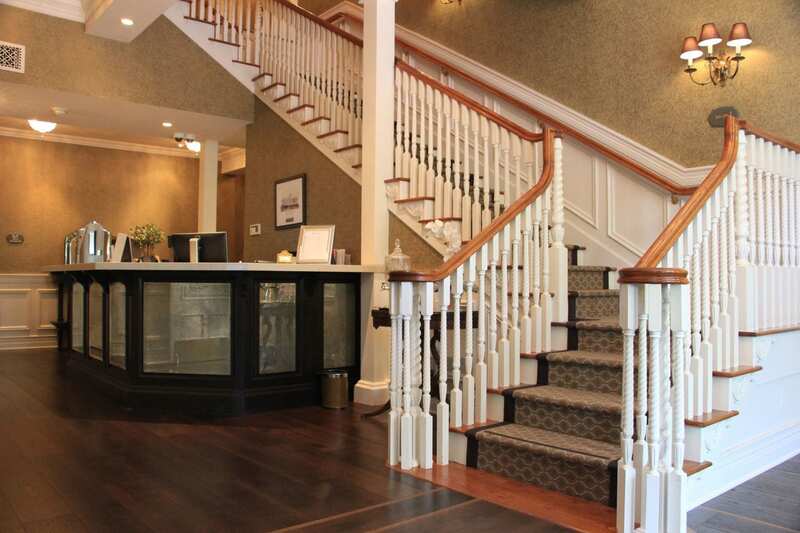 Any stay at ForFriends Inn includes a Friendship Pass, which offers complimentary or discounted wine tastings at over 45 tasting rooms and free appetizers or desserts at local restaurants. 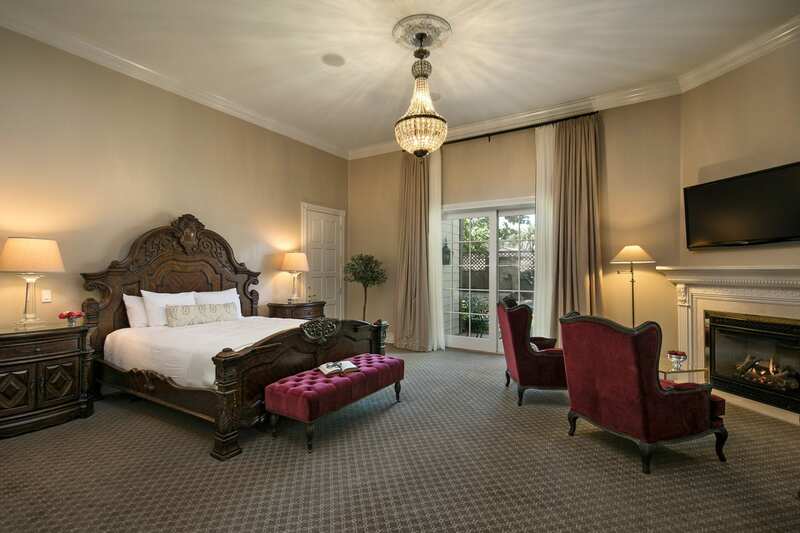 Built in 2001 but designed to evoke a grand Victorian mansion, the recently-renovated Santa Ynez Inn exudes luxurious elegance and warm hospitality. The lobby welcomes guests with its grand staircase, crystal chandelier, coved ceiling, and wide-planked dark wood floors. Just off the lobby, the formal parlor and an intimate library both beckon guests with the glow of their fireplaces and beautiful furnishings. 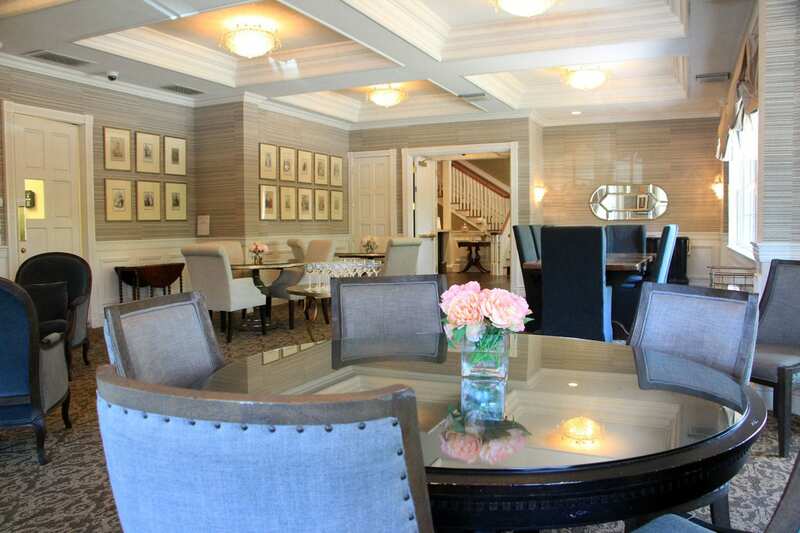 The parlor serves an evening wine hour, late-evening tea and cookies, and a gourmet breakfast each day. Breakfast includes freshly-baked pastries, seasonal fruit, and made-to-order dishes like eggs benedict and strawberry ricotta pancakes. Room service is also available during breakfast for an additional fee. Each of the inn’s 20 guest rooms feature opulent furnishings with high ceilings, plush bedding, spacious marble-tiled baths, a muted color palette, and refined décor. Crystal chandeliers and artwork made from framed sheet music adorn nearly every room. 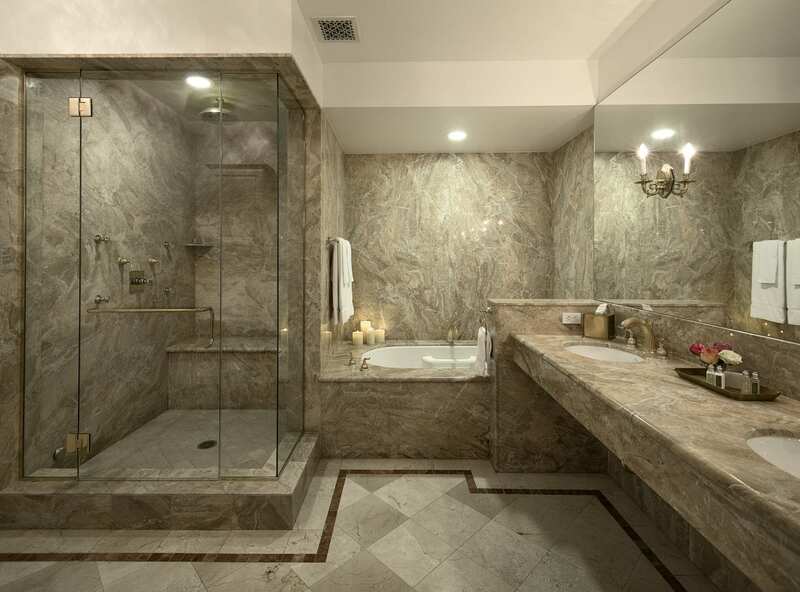 Many of the rooms feature romantic gas fireplaces, heated marble-tiled bathroom floors, Jacuzzi tubs, and private balconies or patios. A few of the patios offer trickling fountains amid verdant gardens. 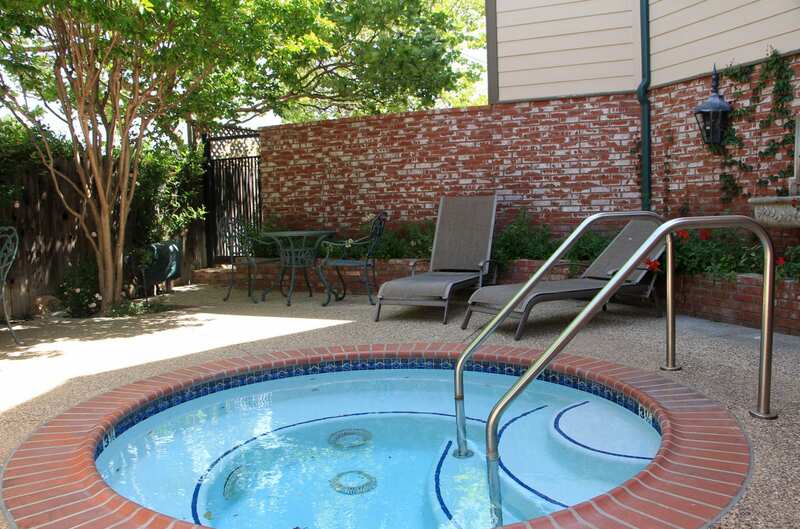 An outdoor hot tub is tucked away in a private corner of the inn. A fitness center is located in a separate building across the lawn. The inn’s renovations in 2017 added luxurious spa treatment rooms and a sauna to the lower level of the inn. 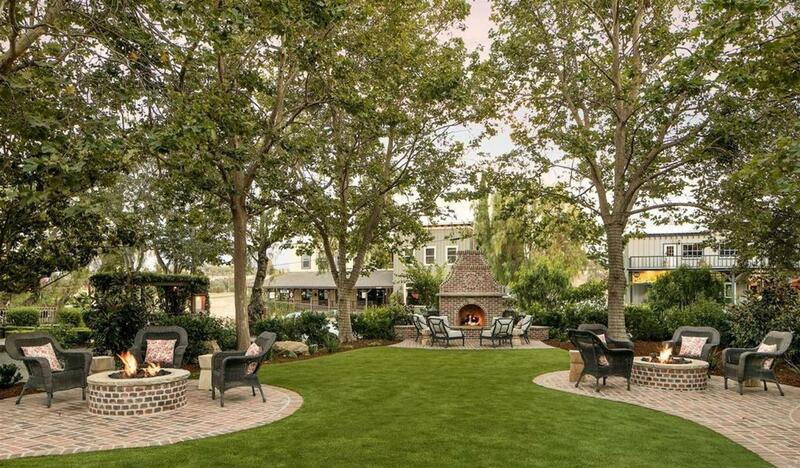 Outside, the inn also added brick patios, two outdoor firepits, and an outdoor fireplace. Built beneath the trees, the outdoor firepits and the fireplace are tucked into quiet corners of the inn’s expansive lawn. On cool evenings, they’re ideal spots to have a glass of wine beside the warmth of the fire while enjoying views of the town’s Western-style facades across the street. The inn offers complimentary tasting at 20 local wineries and is within walking distance of several local restaurants including SY Kitchen and Trattoria Grappolo.